2019 CALENDARS ON SALE NOW! 2019 Hellcat A-Go-Go Studios Retro Lingerie Calendar! 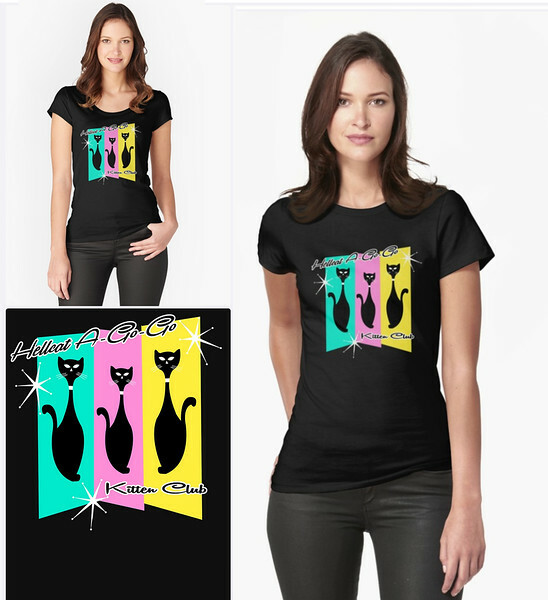 Hellcat A-Go-Go Kitten Club T-Shirts On Sale! Hellcat A-Go-Go Red Devil Girl Logo T-Shirts On Sale! Hellcat A-Go-Go Bumper Stickers On Sale! Bumper Stickers are Vinyl and measure 3.5 inches height and 5 inches width. Get yours now for only $2.00! Just choose optional denomination for your Gift Card purchase!